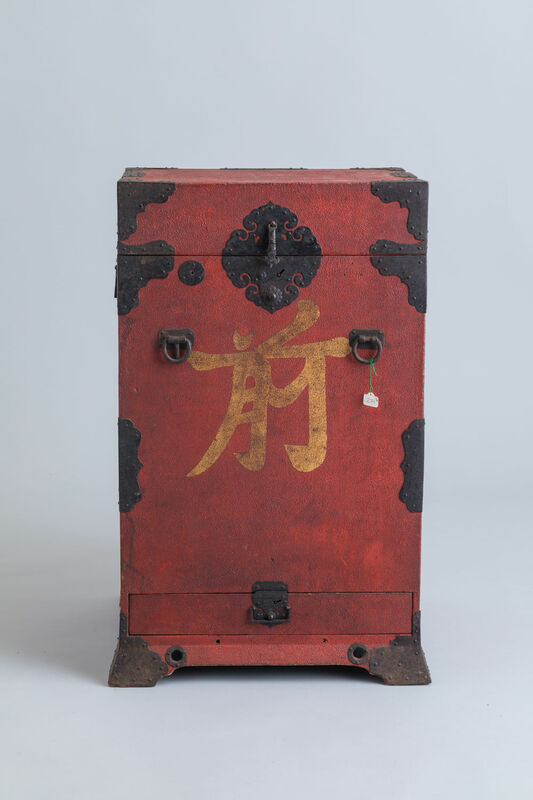 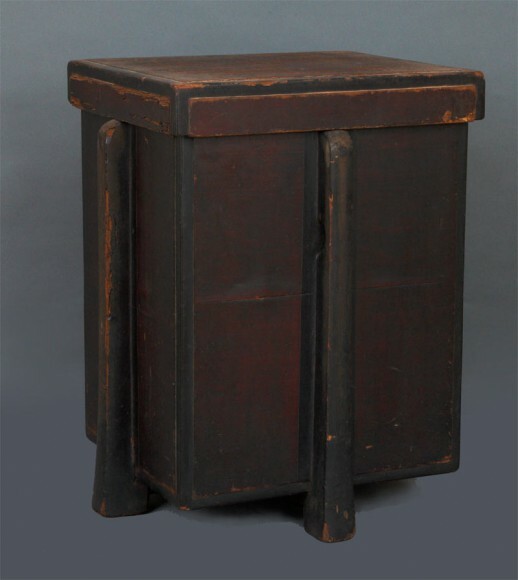 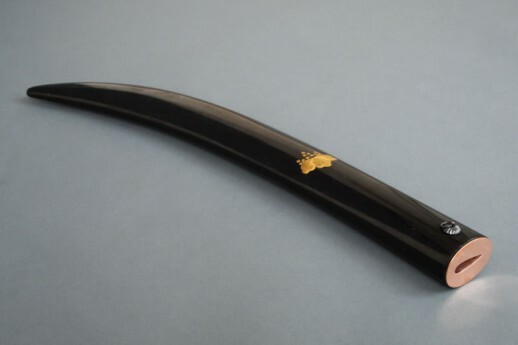 The wood body is lacquered black with brass mouth piece engraved with a dragon flying amongst clouds. 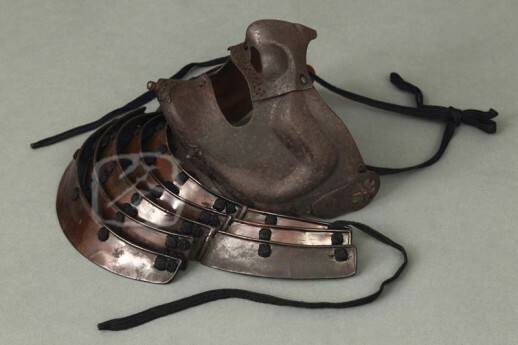 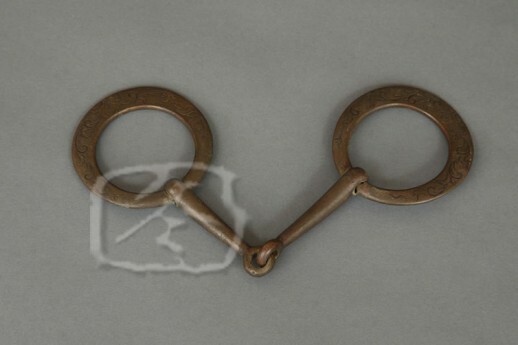 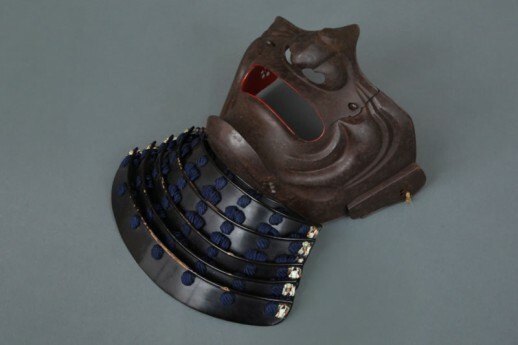 The muzzle has a removable stopper signed and dated: 4th YEAR OF ANSEI, SANO TSUNETADA HATSUMEI KORE WO TSUKURU (invented and made by Sano Tsunetada). 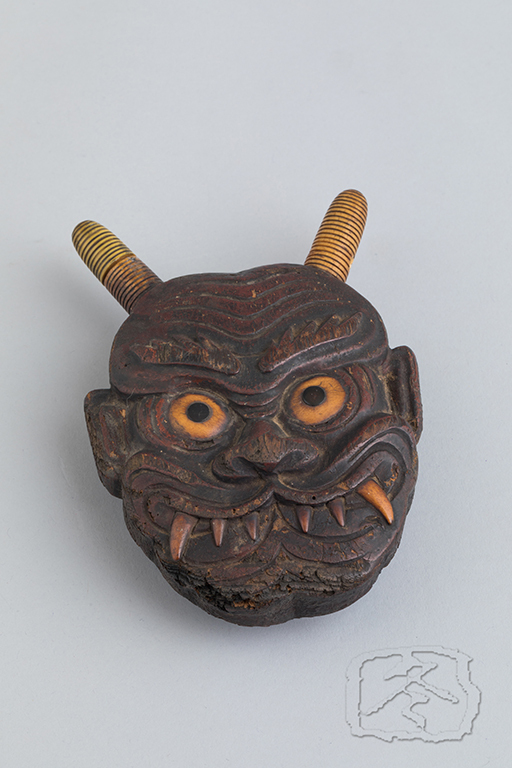 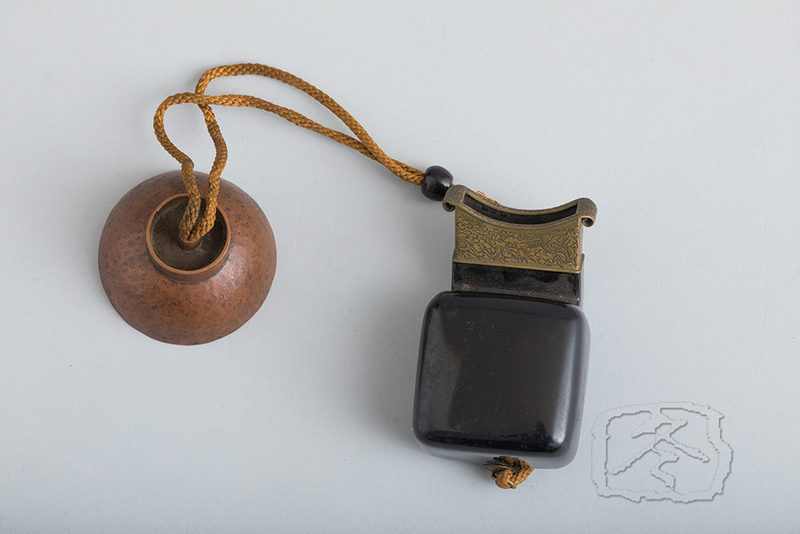 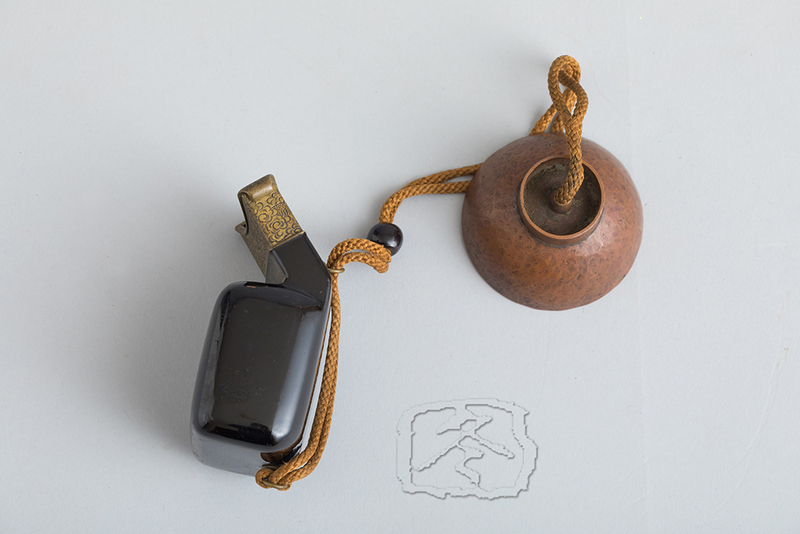 The stopper is held with a sliding silk cord and tied with a small copper netsuke in the form of a cup. 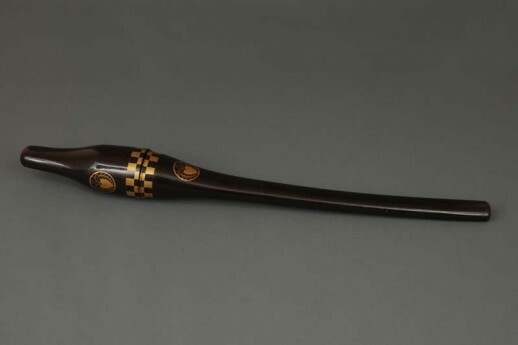 This weapon was designed to blow toxic powder at close range to blind and confuse an adversary.